Top10 Search Engine Optimization – Today we are introducing our new ten steps SEO course which has arisen because some SEO agency customers wanted to continue by them self, according to our works, but didn’t know how to go on. And how to exactly perform the next steps. In our ten chapters SEO course we will shine through the basics hereby, so also an owner of the company or a Web shop without a large staff, can perform this work by himself. Firstly we would reduces time-consuming many questions that often arise because Agency and customer do not speak the same language. Maybe after finishing the 10 step SEO course, its more clear why SEO cost what it costs and why its si time consuming. One thing is quite clear: SEO is a lot of work first. Only to show the whole picture we speak about tricks and the Black Hat corner Is even clearer: No one should use such tricks and black hat methods. Whoever does that will quickly see how the shot backfires, and then the traffic forever is gone. Most people have already a Google account, if you have not one, here a guide how you can create a Google account. Such a Web page is quickly created in HTML or with a CMS like WordPress or Joomla. If you know that per day over 2 million blog post are published, and every single day as many new Web sites keep coming up, then you recognizes very quickly that the main problem, is not the Web page rather their visibility and traffic to the website. Over 95% of Web pages are not optimized, are created once and never touched again. That you are here to improve your SEO of your website show that you have recognized is not running by itself and alone. We hope an agency has taken your hand and has implemented the first important work so that you can after this SEO course control the success of their Web page by yourself in the future. But the most important hint at all I can give you today, at the end of the SEO course you even recognize an SEO package for $99 per month or even worse for all five dollars in the package, does not exist and will never exist, thats a scam that in a black hat style has supplied hundreds of worthless backlinks , which bring nothing at all, what is clear because everyone has this kind of cheap rubbish! Before a link at all can impact your website your On Page SEO must be prepared. Remove any existing errors, and everything should be optimised for their customer group. Who think about backlinks and Outboundmanagement – without having On Page Seo ready, that is just as if I’m worrying about roof windows although down just the basement is collapsing. What is telling Wikipedia about OnPage SEO? Now-a-days it is essential to have a website for business. Marketing can be done in best possible way through these websites. So, you may need to set up and use Google Analytics as it helps you to know about the incoming traffic and some other things in details also. So, let’s get ready to use Google Analytics. For the purpose of set up, basic three steps can be observed. They are following. By signing up the platform of Google Analytics, you can start your journey. It is important to remember the reason of joining the platform. It can be either for YouTube, business or Google Ad Words. However, just a click on the “Create an Account” may do your job on the occasion. To set up and use Google Analytics, you must provide some information such as whether it is for a website or app. Later, you must give website URL and details on the type of website. Choice on the industry must be made also. However, it is looked as an optional area. In case you are confused with the option then you may go with the option “Online Communities”. Time zone has to be picked too. Business days can be counted in the process. Company name can be used for account. Setting for data sharing is optional. So, you may select the option according to your comfort. Now, you can click the blue area which says “Get Tracking ID”. You may be directed to Terms and Conditions page afterward. Little bit of issues may be faced while dealing with this part of set up and use Google Analytics. However, you must not be afraid at all. Following to sign up, you may observe a set up screen for tracking code. In case you have been dealing with WordPress then you can go for the WordPress Plugin within Google Analytics. UA code must be entered at the time. For others, you may do the things below. Codes must be copied from Google display. According to command of Google, “Save As” must be used. Single file is used on most occasions. Therefore, requirement of placing code snippet may not be felt every time within your website. Now, installation of code is completed. After installation process, you may observe a status termed as Receiving Data close to the Tracking ID. Process of tracking can be started in mere 24 hour after set up. It is always better to keep an additional admin user. For forums, Google is a great option instead of a single user. If you cannot access the data for some reasons even then the data will not be lost in the process. Due to set up and use of Google Analytics, you may able to get data and reports about the customer’s behavior and usage quite easily. Later on, decision regarding marketing can be according to these data. Website owner must know about the Google Search Console. It is often termed as Google Webmaster tools also. Site can be managed easily with this free software that offers dashboards. It is responsibility of the professional to set up and use Google Search Console. In the very beginning, an account must be created for the purpose. Data can be obtained through Google Search Console. So, it is very important for a marketing campaign. Outlook of the search engine towards the site can be known in the process. Errors of the site can be identified along with site indexing and check on the broken pages. Benefits can be obtained by the web developers certainly on the occasion. Instead of mere knowing who is visiting the site, you may able to know more internal data through set up and use Google Search Console. It may give you information about who is linking with your site. If there is a problem or malware in the site then it can be detected too. Queries on the site can be known also. You must to create a Google account if you do not have already. From any browser, navigation is possible. Website URL must be typed and then a click on the option “Add Property” may be necessary. It is important to go through verification to prove that the site belongs to you. Different choices may be offered to you at the time. Following methods can be noticed. By linking the account with sitemap or index pages, you may able to get optimum amount of advantage from it. Information related to organization of the site is given to the web crawlers and search engine through the sitemap. Metadata is often included within the sitemap. Data on the video content and images can be offered too. The search engine may able to know how frequently your site is updated. Job can be done easily by submitting the sitemap to the Google Search Console. However, the process is not mandatory at all. Penalization may not be noticed also. However, there are lots of things associated behind submission of sitemap. In case the site pretty new or large without proper between pages then the method may be really effective for you. Before the process, your account must be verified. From the Search Console Dashboard, site can be selected that you may want to submit for sitemap. On the left hand, you must choose the option “Sitemaps” within the option “Crawl”. Then you may be directed to the buttons with mark “Add/Test Sitemap”. Later on, you may see a box that offers space in order to add text. Following to the selection of type, you can click in the submit button. Updates can be obtained in best possible by indexing. Changes made in the on-page or title tags may able to show results as soon as possible. First, page must be selected for indexing. Later on, you must click on the “Crawl” and “Fetch as Google” option. Page address must be placed that you may require to index. Now, you can click on the button “Fetch and Render”. Later on, you must submit it to index. So, the process is completed. Select the Admin tab and navigate to the desired account/property/view. Under Add permissions for, enter the email address for the user’s Google Account. Select Notify this user by email to send a notification to each user you’re adding. Now your SEO agency or Working team has his own Google Search Console login data direct from Google. By doing on-page work, you may able to drive lots of traffic towards your website. It may be important to know which keyword may help you to gain rank within the search engine. Both on-page and off page optimization options can be tried on the occasion. However, it may be better to go with the on-page techniques instead of off page for additional amount of benefit. Through blog post, on-page optimization is possible. However, you must not be confused between On-page and onsite optimization. Onsite SEO: In case of on-site SEO, techniques like permalink structure and site mapping may be used. On-Page SEO: It is simply based on the keywords. Placement of keywords, headings and quality of the content must be maintained at the time. 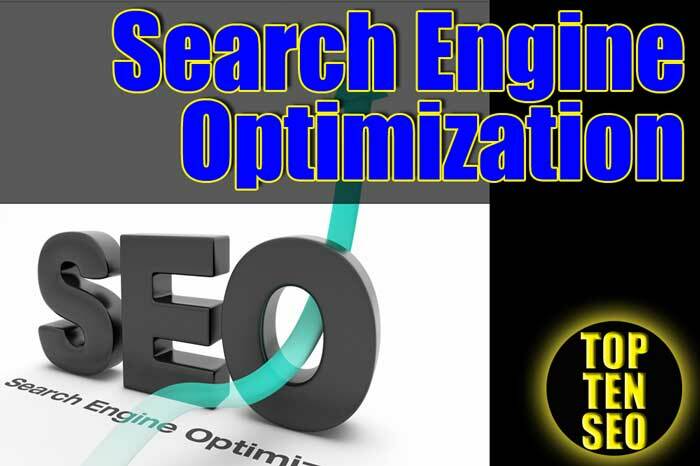 SEO strategies must be given significance at every given occasion. Some of the proven methods can be tried for the on-page work. Ranking on the search engine result page may depend on the method also. Other factors such as back links, social media and domain authority may depend on it also. Organic way must be considered as the best possible method. It becomes easy for the search engine to find the keywords. In this way, prospective visitors can be attracted to the site also. By using following techniques, on-page SEO can be done effectively. Definite results can be observed in due course. User experience with the site can be improved with some on-page work. In this way, responsive nature of the website may increase. Broken links can be kept at the bay also. Drop in the rank may be noticed if the users do not stay with the site for an extensive amount of time. So, professionalism standards must be maintained always. Proper techniques of copywriting must be used too. Instead of fluff, good content must be chosen for the website. To engage more readers, sub heading can be included within the content. One of the most important factors in On-Page SEO is optimized and interesting blog title as it helps to engage customers more. Increased amount of clicks on content may ensure higher rank within the search engine. In the beginning of a title, targeted keywords may be used to gain attention. Keywords must be placed somewhere within the title. However, keyword must not used more than once in the title. By using the keyword more than required, a lot of harm can be caused. Length of the title must be kept within 65 characters always. Display of the URL must be done in correct manner. It is certainly necessary for the on-page metrics. Keywords must be used within the URL too. Symbols, brackets, special characters and command must be avoided at every given occasion. Strings within the URL can be differentiated through dashes. These types of permalinks are called pretty. Support from different kinds of browsers can be obtained as a result. By using above on-page work, you may able to achieve success in due course.